This turntable adds to NAD's reputation for precision engineering that makes analog music sound amazing. NAD has a reputation for precision engineering that makes music sound amazing, so I was excited to see the C 558 turntable show up in our warehouse. It's built on a solid MDF base with rubber feet to minimize vibration. The 9" aluminum tonearm features a pre-mounted Ortofon OM10 cartridge that brings beautiful music out of every record groove. 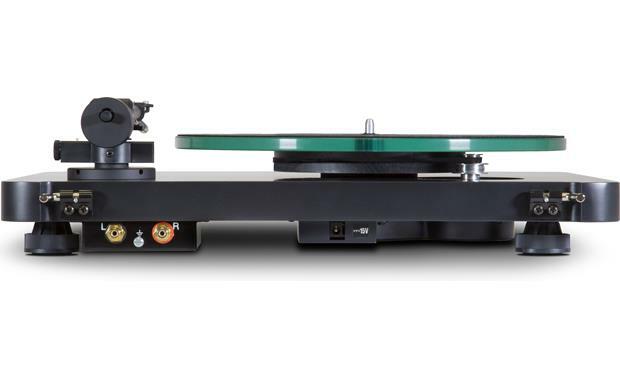 This turntable is a beauty that will look — and sound — amazing in any vinyl lover's listening room. 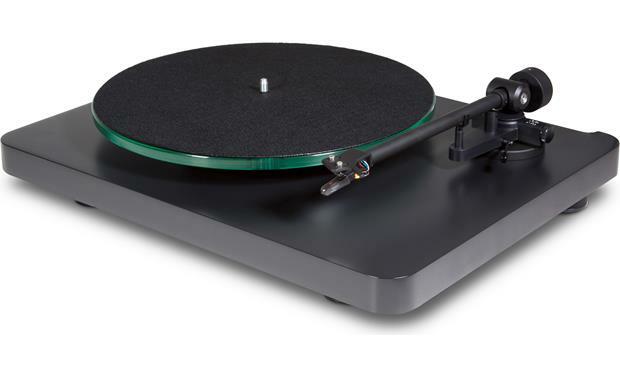 While I was researching the C 558, preparing to write this page, a company rep explained the C 558's design in a way that stuck with me: "The specific combination of a glass platter, felt mat, MDF base and aluminum tonearm combined with the particular rubber in the feet all interact in a way that extracts maximal energy from the LP groove," he wrote in an email. In short, these specific materials were chosen because they work well together. 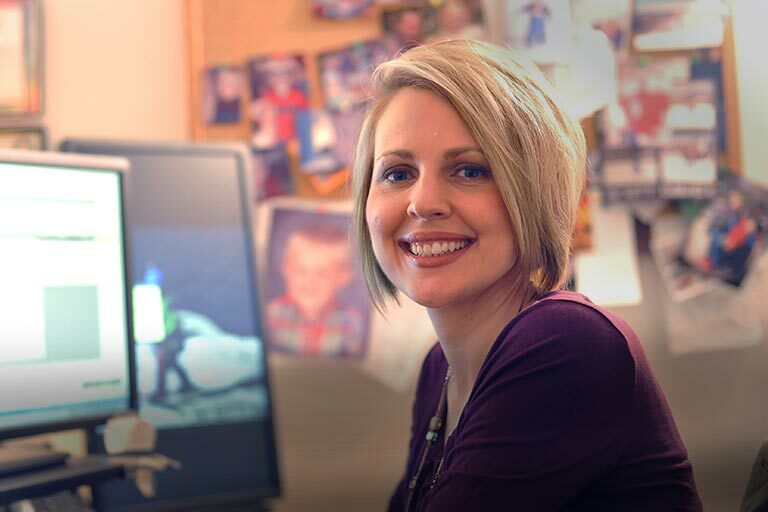 We love that kind of fanatical attention to detail, and we think your ears will love it, too. 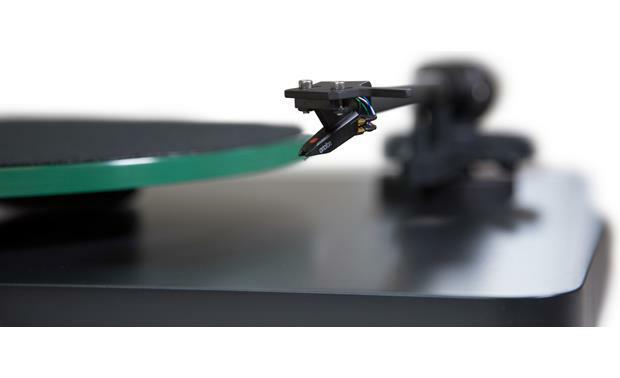 The turntable is easy to set up - including setting the counterweight and vertical tracking force. It pairs well with my NAD integrated amp and I'm quite impressed with the sound that comes out of them. Belt Driven w/ Precision AC Motor: The NAD C 558's motor is isolated from noise and voltage fluctuations that occur in the unfiltered AC mains that can cause instability in the motor. The motor uses a specially developed rubber belt that is flat ground for precision and drives a non-resonant sub platter that is precisely machined for smooth rotation and sits in a brass bearing with a hardened steel shaft. The belt can be moved to either the 33 or 45 rpm wheel of the drive pulley to attain the correct speed. 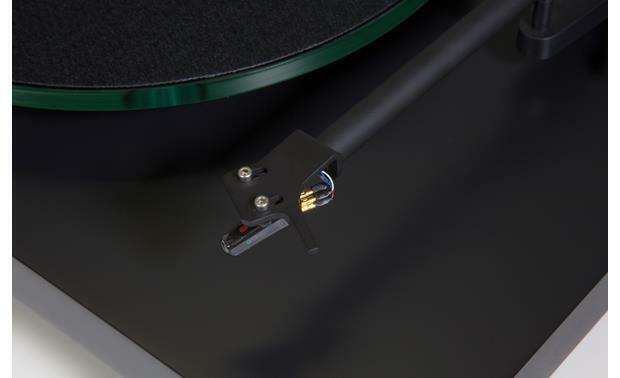 9" Tonearm w/ Ortofon OM10 Phono (MM) Cartridge: The NAD C 558 turntable is pre-fitted with an Ortofon OM10 phono (MM) cartridge in a 9" tonearm that offers vertical tracking angle and azimuth adjustment. At 9" long it offers low tracking distortion while maintaining rigidity and low mass required to stabilize the cartridge. By allowing VTF and Azimuth adjustment you get precise tracking with low distortion and record wear. 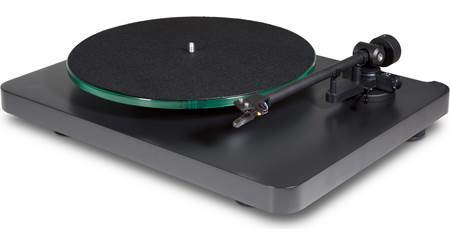 Non-Resonant Construction: The NAD C 558's features a non-resonant sub platter and 10mm glass platter with a felt pad. The turntable's plinth is solid MDF, not particle board or plastic, and is CNC machined for precision. The removable dust cover is made from a non-resonant Perspex with a counter-sprung hinge design that allows the cover to remain in almost any intermediate position from open to closed. Integrated rubber feet isolate any unwanted external vibration. Isolated AC Power Supply with Universal Voltage: The NAD C 558 employs a sophisticated power supply that transforms the AC alternating voltage of your wall socket into a pure DC voltage. The DC voltage is then regenerated into a precise AC voltage that powers a precision clock motor to achieve nearly perfect speed consistency and smoothness. Stereo RCA Outputs: The NAD C 558 is outfitted with stereo RCA output jacks and ground terminal. A 47" stereo RCA cable with ground lead is included. Make sure the turntable is connected to the Phono (MM) input of your receiver or integrated amplifier. If your receiver or integrated amp is not equipped with a Phono (MM) input, you will need to purchase an external phono-preamplifier (such as the NAD's phono-preamps, sold separately). I brought the NAD 556 from Crutchfield the purchase was great.However I moved the unit to Barbados and set it up to a horrible speed problem . I checked the with the electric company and found out that it is operating at 120V @ 50 Hz. Anyone have a remedy ? I just looked online and found freq converters that change 50 hz to 60z. for about $179. They also provide voltage out. You might want to check with NAD to find out if they can supply you with an international wart. Power supply. Good luck! I would think Crutchfield would be able to point you in the right direction. Is the NAD C558 upgradable? 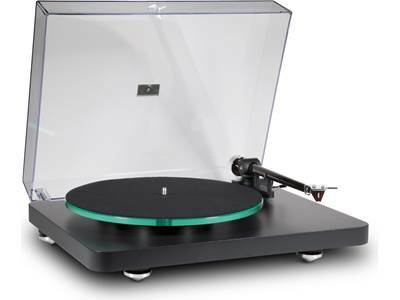 The earlier model NAD C556 is basically a re-branded Rega Planar 1 and could be upgraded in the same way as the Rega. 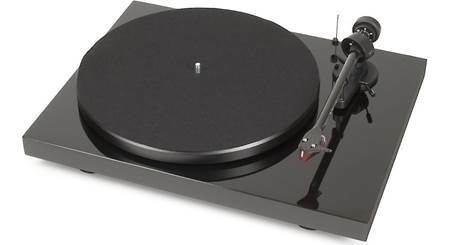 The new C558 looks like it shares a Rega tone arm, platter and spindle/bearing assembly but other then that appears to be an entirely new design. I can only say it is upgradeable as far as the cartridge. I installed a Nagaoka MP 110 and was very pleased. I don't know about any other possible upgrades. 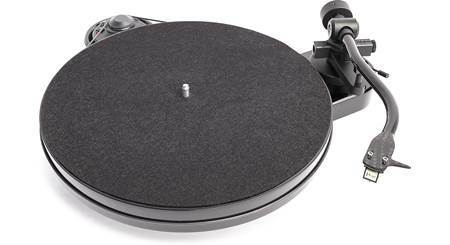 I would say the mechanics if the tone arm are more similar to the Pro-ject RPM with an aluminium arm instead of the carbonfiber "S" style. Not a fan of the cartridge, so upgraded to the Sumiko Black Pearl which in my opinion was huge! Sound is all in the beholds ears. The overall build is nice. The magnetic anti-skate is very nice touch instead of the fishline and sinker you see on a lot of TTs. Glass platter is nice, flet matt, what ever, will be replacing that soon. Read through the manual it will help. I ordered 4 TT's all in the sam price range and thought this was the best. There are trades offs with each but I'm happy with it so far. 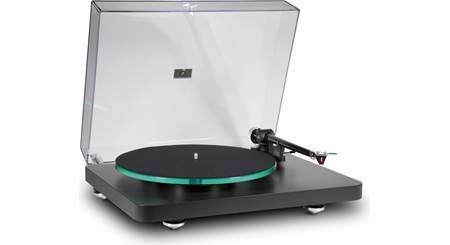 Well the NAD is it really a Rega product, it is a project turntable that is pretty much maxed out in terms of what you can upgrade. It is a nice turntable however in its current form without any upgrades necessary. I really like it over the project turntables mostly because of the magnetic anti-skate adjustment as opposed to the string and weight that project seems to like on as their usual setup. 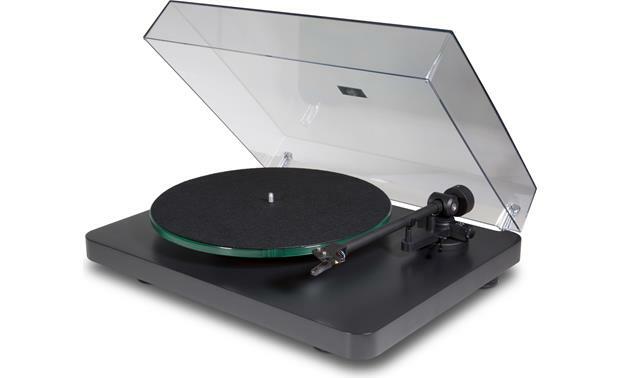 Searches related to the NAD C 558 Manual belt-drive turntable with pre-mounted moving magnet phono cartridge.